Optimum performance come rain or shine. Designed for executive, luxury and specialist sports cars, the RainSport 2 offers superior comfort and safety in all summer weather conditions. A curved V-shaped tread ensures that pressure is distributed evenly across the tyre which in turn ensures that entire contact rests on the road. This means that braking distances are short on both wet and dry roads. 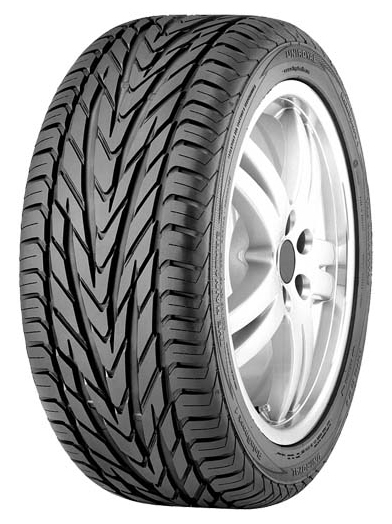 This innovative tread further benefits the RainSport 2 as it helps to provide greater resistance to aquaplaning. This is because the 3D structure of the curved V-shaped tread enables efficient water displacement. The RainSport 2 is fitted with visual alignment indicators which enable you to monitor how the tyre is wearing. This means one sided wear will be flagged and can be corrected in good time, resulting in a long tyre life.